This statistic shows the distribution of the gross domestic product (GDP) across economic sectors in Latvia from 2007 to 2017. 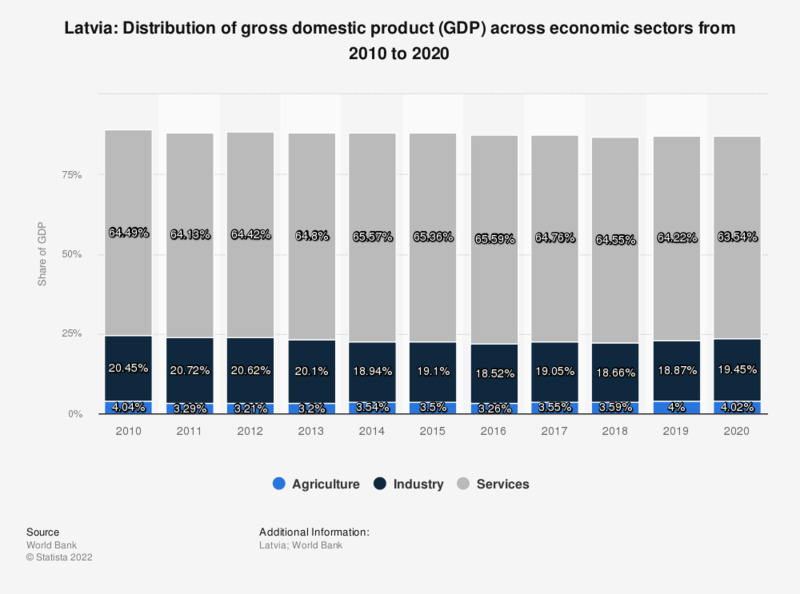 In 2017, agriculture contributed around 3.4 percent to the GDP of Latvia, 19.52 percent came from the industry and 64.39 percent from the service sector. Would you say that it would be useful for you that shopkeepers continue with dual price displays?